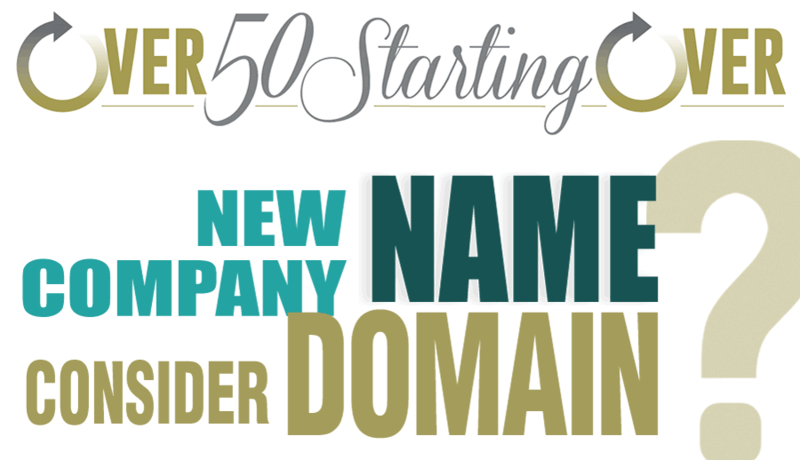 Naming your new company: Should you consider the domain name? 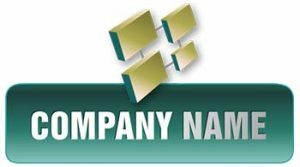 First consideration for company names is usually our names or initials (my marketing company is Edwards Communications, though it was Integrity Marketing Design the first 10 years or so). As it’s not incredibly descriptive of my branding and marketing services, I also require my slogan, “Dynamic marketing solutions that target your audience for maximum impact”. <–– You should consider whether or not you need a slogan when naming your company. Next we usually ponder profound creatures (phoenix — yawn), objects and words in foreign languages that sound cool. By this point, we’re starting to think in terms of being more descriptive with our company names. We want to sound energetic and inspiring – something that we can be truly proud of. In these cases, make a quick list of descriptive words that you want your company name to communicate, then hit thesaurus.com. This is a trick that I also use for finding inspiration when developing logos. And… it’s right about this time that we start to consider loading the name with keywords that describe our niche in order to secure an SEO-friendly domain name. How important are keywords in your domain name? Considering your domain name when choosing your company name can be helpful to your SEO efforts. Take this advice too literally and it can also be very harmful. So, while GuitarLessonsByGreg.com may work well for your company and domain name, I’d highly advise to not go as far as CheapGuitarLessonsInCleveland.com. Let’s cut to the chase: Several years ago, picking the Exact Match Domain (EMD) used to be about the best SEO trick that you could pull out of your hat… but Google caught onto that (of course). In 2012 Google created the Exact Match Update and now you can actually get penalized for being too concise in your domain choice. Neal Patel has a great article on this here. Though I will caution that Neal’s advice is slanted more towards larger companies on a national and international scale. I’m never going to discourage my readers from thinking big, but Over 50 Starting Over is generally targeting more niche efforts. Google’s mission is always to get the best content in a given subject matter at the top of its page rankings. When it catches onto a manipulative trend such as EMDs… you can bet they’ll create a new algorithm to nip it in the bud. Nonetheless, For those of us who are looking to build our small company (usually locally), I believe that you should still consider getting your niche in your domain name to help identify and differentiate yourself. Example: If you’re selling custom cabinetry and you want to call your company AmberMay.com after your daughter, I’d highly recommend going with AmberMayCabinetry.com instead. It’s unique while providing the most important keyword. This would help your SEO efforts immensely. And its available! Do I need a “.com”? The “.com” is still the Holy Grail of domain names, but with so much saturation, a slew of new extensions have flooded the market. But, I suggest you start with the “.com”. Try to snag one of these first. Consider “.net” second. “Org” is still often thought of to be non-profits only (though that’s not correct). As for all the new extensions: most are currently associated with spam. You want the most trustworthy domain possible. UPDATE: I’ve found the extension “.co” to be gaining steam of late. Certainly because it’s the abbreviation of company, so it seems legit for professional companies. As you get some ideas to explore, I suggest using this freaking awesome, FREE, online tool: Namech_k (https://namechk.com/). It checks the availability of a potential name across all the major domain extensions AND usernames of social media. Usernames are the most often overlooked aspect of domain naming. Think of the advantage of having a consistently branded name across your website and social media channels. So, you’ve considered all the above items and think you have the right company name! I’m not in position to offer any legal advice on copy rights or name infringement, so please ask your lawyer appropriate questions when you get serious about registering your new company name. But, I will say that before you do that, do a “business search” and make sure the LLC is available. In Ohio, there’s a super easy search form here, on the Secretary of State’s website. I use NameCheap.com to purchase my domains. It doesn’t matter much what your preference is. GoDaddy is really cheap as well. But, if you think you’ll end up buying more domains in the future, it’s really handy to keep them all in one account. As far as hosting goes, it doesn’t matter where you purchase the domain name. It’s a simple matter of pointing the nameservers to your host – that sounds geekier than it is. But, that’s a lesson for another day.